CHICAGO (WLS) -- The FBI is asking for the public's help to identify a woman suspected of robbing three North Side banks in the last three weeks. Officials said she should be considered armed and dangerous. She has been dubbed the "Uptown Beach Bandit" because of the large, floppy straw hat and sunglasses she wears during the robberies. Authorities said she walked into the 3531 North Broadway location around 1 p.m. on Aug. 5 and demanded cash in a threatening manner. A suspect matching her description robbed the 5343 North Broadway location on Aug. 14. In this incident, she allegedly implied she had a gun. 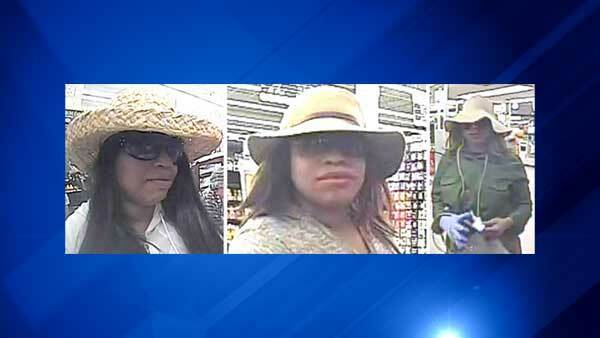 The woman most recently robbed a TCF bank located at 4355 North Sheridan Road last Saturday, officials said. No one was hurt in any of the robberies. Witnesses described the suspect as an African American woman in her 30s. She is between 5 ft. 3 in. and 5 ft. 5 in. tall and has medium to long dark hair. In addition to the floppy hat and sunglasses, she has worn a green jacket, tan cardigan and a light gray hooded sweatshirt in each robbery. The FBI said a reward is being offered for information leading to her arrest. Officials did not disclose the amount. Anyone with information regarding the Uptown Beach Bandit should contact the FBI's Chicago office at (312) 421-6700 or Chicago police, who are assisting in the investigation.